The East Tennessee Veterans Memorial Association presents the 9th Annual Medal of Honor Evening, Honoring World War II Medal of Honor Recipient Sgt. Elbert Kinser, United States Marine Corps, and featuring speaker Lt. Col. Edward T. Nevgloski, USMC (Ret.). The event will be held Monday, May 6th, 2019 at The Historic Foundry Building at 747 World’s Fair Park Drive, Knoxville TN. On May 4, 1945, Sgt. Kinser was leading a rifle platoon against Japanese forces on Okinawa. Under intense close-range combat, Sgt. 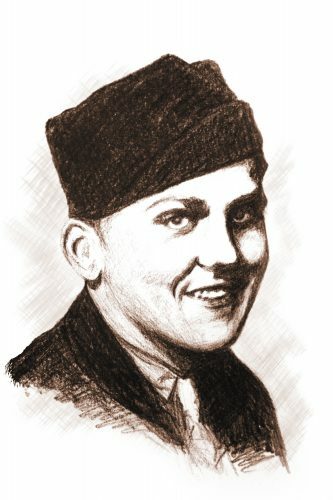 Kinser was wounded by rifle fire. Four medical corpsmen ran to Sgt. Kinser and loaded him onto a stretcher. Suddenly, an enemy grenade landed right beside all of them, and without hesitation, Sgt. Kinser rolled off of the stretcher and fell on the grenade to absorb the explosion, sparing the lives of the four corpsmen around him. Sgt. Kinser saw much combat in the Pacific, serving in the bloody battles of Guadalcanal and Peleliu before landing on Okinawa. In recognition of his heroism, the U.S. Marine base at Okinawa was named Camp Kinser. He was initially buried on Okinawa, and his remains were brought home to Greeneville, TN in 1949. He was only twenty-three when he was killed. Proceeds from this evening will allow for the continued maintenance & preservation of the Memorial. Tax deductible as allowed by law.